This TA Technix sport suspension kit is for the Mazda 6 type GG from 2002-2008. This TA Technix sport suspension kit is for the Mazda 6 Sedan and Station Wagon type GH since 2008. 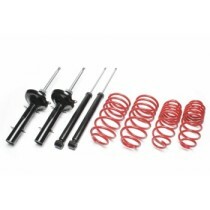 This TA Technix sport suspension kit is for the Mazda 6 Station Wagon type GY/GY1 from 2002-2008.